Pardon me if there’s a thread for this, but I’ve exhausted my googlefu. I have changed the order tag from displaying the cost, to including it in the product price. I would like it to be easier to for staff to identify add-ons that add cost in case of questions on behalf of the guest. THe posted image shows a burger with bacon, egg, avocado. The price is properly calculated. I would like for order tags with an additional price to show as yellow (or some other contrasting color). Is this possible? If so, where might I go to adjust the setting. In this example I set it to orange and added Condiment: in bold to the front of the order tag. 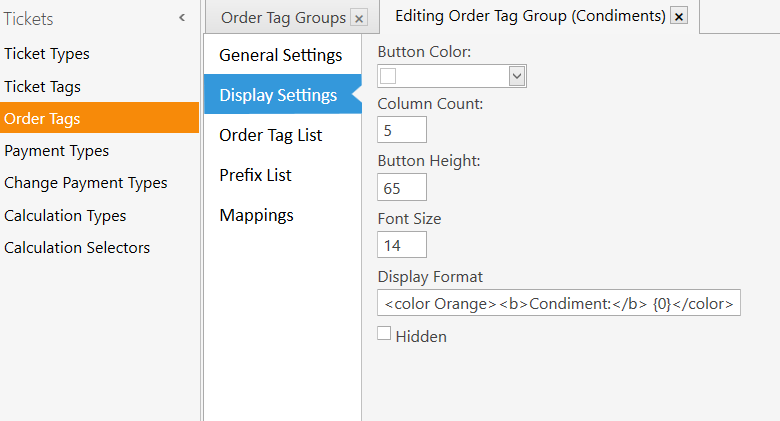 You wont be able to designate which tags in the group get the color it will apply it to entire group. So to get your desired affect you would need to make a group just for priced order tags.